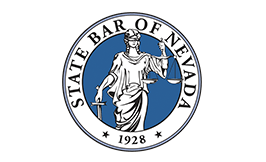 At the Law Office of Karen L. Winters, our attorneys help people and businesses in Nevada and California resolve current legal issues successfully and establish a solid plan for the future. Located in the historic old-town section of Minden, we represent clients in various practice areas, including estate planning, elder law, family law, business law, and employment law. Our attorneys have more than 40 years of combined legal experience as well as professional experience in both government and the private sector. Whether you have an immediate issue or wish to establish a solid plan for the future, you can rely on us for skilled, knowledgeable counsel. Committed to providing personalized service — An attorney cannot guide you toward success if she does not understand you and your goals. We always invest the time and effort to learn every aspect of your situation and then tailor our advice to your unique needs. Established in the community — With experience representing clients in Lake Tahoe, Carson Valley and beyond, we understand what makes this region unique and special. By helping our clients obtain favorable results, we are also able to make positive contributions to the communities we serve. Dedicated to building lasting relationships — Since 1987, this firm has served as a trusted source for people seeking legal support. For any matter, our advice is always designed to address long-term concerns. By doing this, we have established many lasting relationships with local people and businesses who have continued to retain our services and refer us to others. Most people in need of legal advice are going through a difficult situation. At the Law Office of Karen L. Winters, we recognize that and strive to provide exemplary representation and compassionate counsel in a comfortable, welcoming environment. Estate planning — Maximizing your assets and transferring them according to your wishes takes careful preparation. We can advise you on a full range of estate planning options. 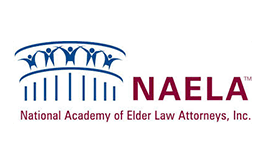 Elder law — As people age, numerous legal concerns arise including protecting a family member suffering from dementia while providing for long-term care. 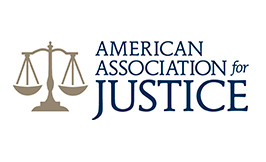 We provide compassionate elder law advocacy to simplify and resolve these difficult issues for our clients and their families. Family law — Divorce and other family law matters can quickly spiral out of control. We protect your legal rights while working toward a solution that allows everyone to move forward. Business law — We provide detailed counsel on business law issues, drawing on both our legal knowledge and our diverse professional experience, which includes high-level work for regulatory agencies. Employment law — If you’ve been mistreated on the job, we can help you take action. 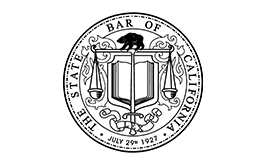 We advocate for workers in employment law cases including wrongful termination, wage/hour disputes, and discrimination claims. For these and other legal questions, the Law Office of Karen L. Winters can evaluate your situation and help you decide what steps to take next. The Law Office of Karen L. Winters represents clients in a variety of practice areas including estate planning, elder law, family law, business, and employment law. Call 775-386-2142 or contact us online to schedule a meeting. Law Office of Karen L. Winters is located in Minden, Nevada and serves clients in and around Carson Valley, Carson City, Lyon County, Lake Tahoe, and Alpine and Mono Counties of California.